Have you ever wondered why the Cocker Spaniel is so popular. Not only with breed fanciers as show dogs, but with the general public as beloved companions. 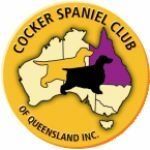 Did you know about activities that Cocker Spaniels love and excel at and they are not just for show dogs. Have a read about the activities our breed take part in, and maybe you too would like to give it a go with your Cocker Spaniel.